We’re excited to reach 300 Patient Reviews. We appreciate the love you have shown our practice over the years. Preston Bend Dental (PBD) offers exceptional family, cosmetic & restorative dentistry in a state-of-the-science facility, giving patients the best of all possible experiences. Plano dentist, Dr. Anita Naik Madhav and her team are all committed to this ideal. With their training and access to the latest technology, they deliver an inimitable brand of dental care. Dr. Madhav was born in Lusaka, Zambia, and was raised with the traditions of the small communities of that region - communities that, even today, value honesty, integrity, and trust. 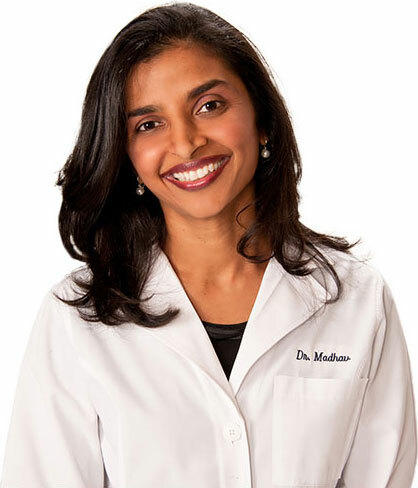 Dr. Madhav embodies these simple yet fundamental qualities, as evidenced by the way she treats her patients and the way she practices dentistry. In 1988, Dr. Madhav left her home in Zambia to pursue her dental education in Oklahoma. She completed her undergraduate degree at South Western Oklahoma State University, and then enrolled at the Oklahoma University College of Dentistry. She also completed the highly selective Advanced Education in General Dentistry residency program, which gave her the opportunity to treat patients with diverse needs. "Excellent for all ages! The entire staff is so friendly, accommodating, and sees to it that you have a great experience. I took my two year old son who cries at the sight of a white lab coat. They made sure he was cared for in a way that suited his needs - balloons, no lab coats, and instead of cleaning his teeth in the chair, we took him to the bathroom so it would be more like home. Cannot say enough good things! Love them!" "The staff was excellent and very educational on the processes. They approach everything with the client in mind. I like the fact they addressed the financial obligations before proceeding with any treatment so you could make a decision on what you could accept in terms of treatment updates."